There’s no less than three things that make Russell’s Reserve Single Barrel standout from other Wild Turkey straight bourbon expressions: 1. it’s bottled at 110 proof, 2. it’s non-chill filtered, and 3. it’s available as a private selection for retailers, distributors, or private organizations. Russell’s Reserve Single Barrel Rye shares all three of these traits, but is a completely different whiskey with very limited availability (at least, presently). 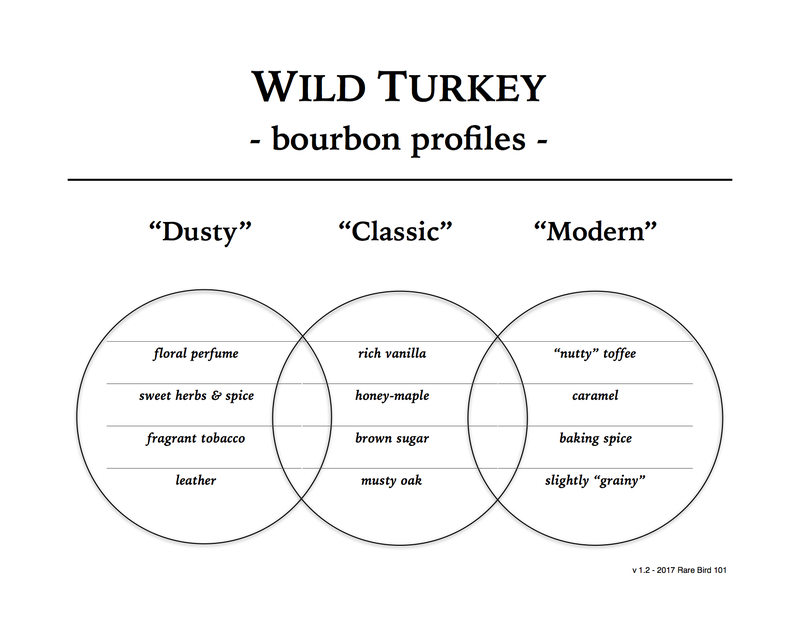 And truth be told, Wild Turkey Kentucky Spirit can also be found as a private selection barrel offering, but it lacks the other two unique traits and is also somewhat limited in availability (likely out of demand more than supply). Please note: tastings were done in four separate phases as a group – color, nose, taste, and finally finish. So, each of the three whiskeys went through comparison by phase chronologically. My notes, however, will be by whiskey and not by phase. Overall: To me this is the standard (but still high quality) Russell’s Reserve Single Barrel profile. Rich vanilla, nutty toffee, musty oak, and some spice. As a private select, somewhat disappointing, but as a straight bourbon whiskey, damn solid. Overall: Wow – Davidson’s really picked a killer barrel with this one! Perhaps it was because this was near the inaugural year of Russell’s Reserve Single Barrel and Wild Turkey really wanted to show it off, or maybe Davidson’s just has some talented folks picking barrels. Regardless, it’s probably the best Russell’s private select I’ve personally tasted. It shines in all the core profile notes and displays some unique ones as well. Hell, it even has a slight dusty Wild Turkey nose that could easily fool an experienced enthusiast in a blind tasting. Overall: So much promise on the nose, but in the end the spicy fruit and cherry cola dominate like a Four Roses OBSO and Cherry Coke married as a mixed drink. Not that it’s a bad Russell’s private selection – very far from it. It’s just a touch out of balance and lacks the finesse and subtleties of the Davidson’s selection. It’s an enjoyable and unique pour and I have no regrets purchasing it. In closing, I had a great time comparing these three bourbons – much more so than my NAS Wild Turkey 101 tasting (which was somewhat exhausting picking out minor variances). The differences between single barrels in the same product line can be quite amazing. If sipped on separate occasions one might not even notice, but when compared side-by-side the individual qualities really jump out. I encourage everyone to try a few Russell’s Reserve Single Barrels in one sitting. Examine every aspect (as even color can vary by notable shades). You may just find a special whiskey that checks all of your desired profile boxes. You’ll enjoy that ABC Barrel. But the Total Bev (Colorado) barrel from the same floor, same warehouse as the Davidson’s here is also terrific. Almost a dead-ringer for the 2394. Really? I’ll definitely have to check that one out then. Thanks!